I’ve been marketing online for over 12 years now and have compiled the ultimate list of social bookmarking sites for bloggers. This list is very targeted to the blogging, business, marketing, wordpress and social media niche for the most part. In some cases the sites do allow for submissions outside of that niche but it is a small percentage. If you are within the niche mentioned above then this post is for you. I always like to mention, I offer a marketing service that includes submissions to all these sites for all your posts for a monthly fee. Check out my Blog Engage DTFP Marketing Package. I understand finding the best social media sites to actually build back links from can be challenging., In this post we will remove that challenge and liberate you from your difficulties. Without further adieu let us dig into the meat and potatoes. Our first site is named RetweetBird. RetweetBird is the social sharing platform which use crowdsourcing to get more retweets. This site allows you to submit “Tweets” and users earn credits by sharing your “Tweets” You can also earn credits by sharing other users “Tweets” the system works both ways. You can also earn credits by following users, and assigning credits for other users to earn by following you. VCB, Viral Content Bee is one of the fastest growing websites for social sharing to date. I have been using this site for over a year and still to this day count on it as my number one social platform. Viral Content Bee is a web-based platform that utilizes a crowd-sourcing model to facilitate the generation of REAL “social buzz” on quality content. Guest Crew has turned into a must stop and share venue for me. You can add tweets, latest blog posts and add credits for users to share your content,. You can also share content to earn credits. This is another great way to increase your social reach. Just Retweet is another amazing service I use on a daily basis to market my clients content. This is a credit bases system that allows you to earn credits from sharing content and share your own content by offering credits. BizSugar delivers the content that small business owners, managers and entrepreneurs care about, without all the noise. You share your business blog posts, videos and other content, so that others can learn from you. You can also discover what others are sharing. ManageWP.org is a non-profit, community-driven website dedicated to discovering all things WordPress. The goal is to capture the pulse of the WordPress community by discovering best new stories every day. Creator Collabs is collaborative marketing for creators and influencers. Free. The network of creators gain organic distribution by sharing each others’ posts everyday. The entire system is based of credits, you earn by sharing you spend by promoting. You can find an equal balance of the two and see some great results. I hope you enjoy the list. Remember if you don’t have time to submit to all these packages I can do it for you for a monthly recurring subscription. You post and I submit, ti’s easy as 1,2,3 and you go on with your day without being consumed by submissions. 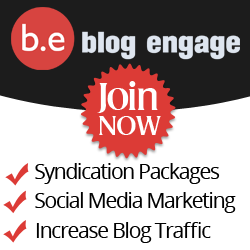 Check out my Blog Engage DTFP Marketing Package.